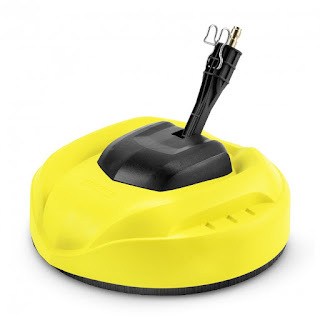 Get the cleaning power you need with Kärcher's K2000 Electric Pressure Washer & accessories! I'll be completely honest and tell you guys that I've never owned a pressure washer before so I wasn't quite sure what to expect. Years ago I actually owned a cleaning business and still love cleaning to this day. There's just something about making something dirty look new again that I love. I usually stick to cleaning indoors but now with the Kärcher's K2000 Electric Pressure Washer & accessories I can take my cleaning addiction outdoors! 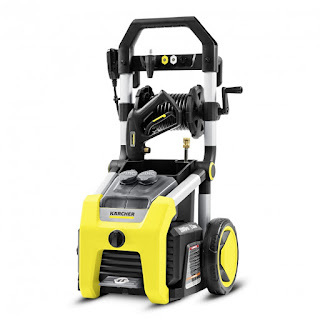 Kärcher's K2000 Electric Pressure Washer delivers 2000 PSI of TruPressure™ to ensure you have the cleaning power you need to get the job done. I love the convenient features of the K2000 such as the unique on/off foot switch, a pressurized hose reel, a handy storage bin, two removable half-gallon detergent tanks and four spray nozzles. Another thing I also really like is the oversized no-flat wheels because I hate fixing flats. Kärcher's K2000 Electric Pressure Washer also comes with an impressive three year limited warranty. I found the K2000 extremely easy to use even for a complete beginner such as myself. I was blown away right away with the cleaning power of the K2000! It literally washed away years and years of dirt. 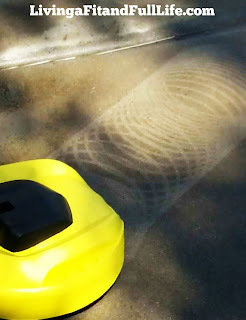 Kärcher's K2000 Electric Pressure Washer is an impressive machine and I highly recommend it! 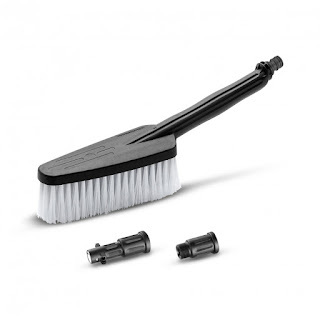 Kärcher's Universal Soft Bristle Wash Brush is perfect for cleaning painted, topcoat and delicate surfaces. I found this brush extremely helpful for washing my minivan that probably hasn't had a good washing in at least a year. It cleaned off every speck of dirt, even the melted crayon that was left behind on the hood of the van. 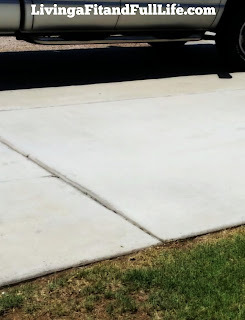 Kärcher's 11" surface cleaner did an amazing job at cleaning my parents driveway and I love that there was no splash back! My parents have lived in their home for about 16 years so as you can imagine their driveway had collected a lot of dirt in that time. 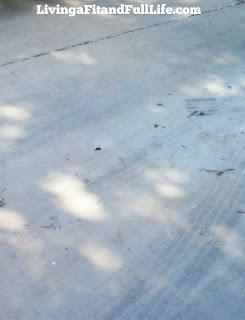 The 11" surface cleaner scrubbed every inch clean with ease and the driveway looked like brand new when we were finished. 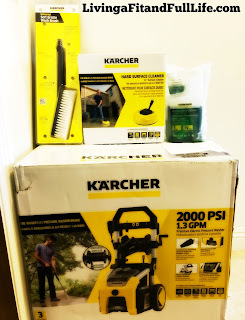 Kärcher's K2000 Electric Pressure Washer & accessories are the perfect tools you need to spruce up your curb appeal and I highly recommend them!